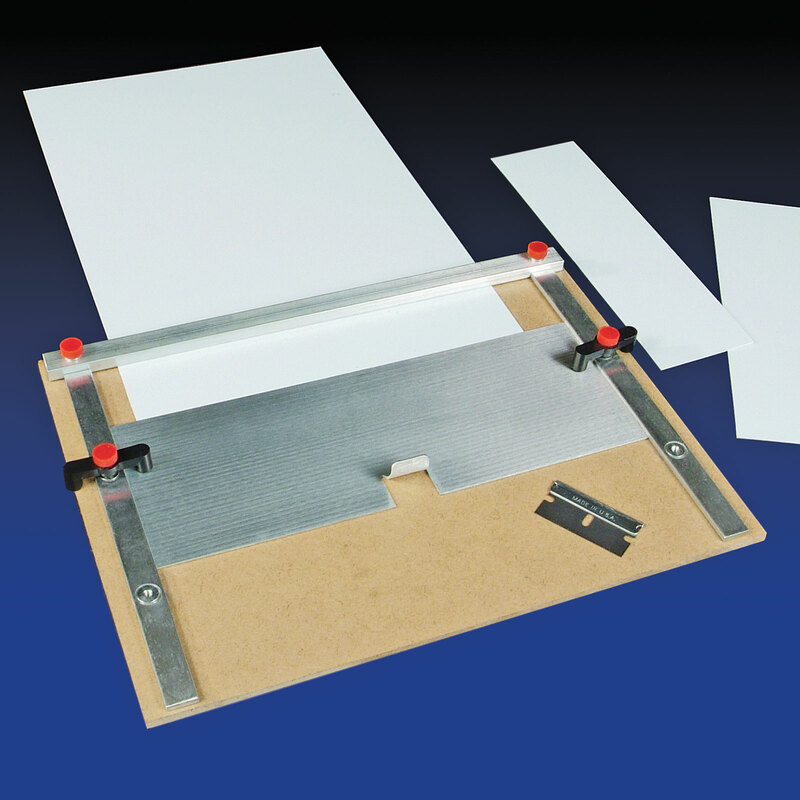 Designed for modelers working in sheet plastic, Duplicate-It works just as well on thin wood sheets, card stock and paper up to 5/32 inch thick. It squares the part, clamps it tightly while cutting and allows you to make exact same-size duplicates easily. Use for structure and rolling stock sides, window panes, etc. Accepts sheets up to 8 inches wide. Use with razor blade supplied or any hobbycraft knife. Stunning piece of kit! My measuring skills are quite the worst imaginable, especially working in N scale, but this marvellous contraption works wonders. O k, I had to pay as much on UK customs before it could be delivered, but well worth it!